Hydrangea Limelight Tree - Tree Top Nursery & Landscape Inc. 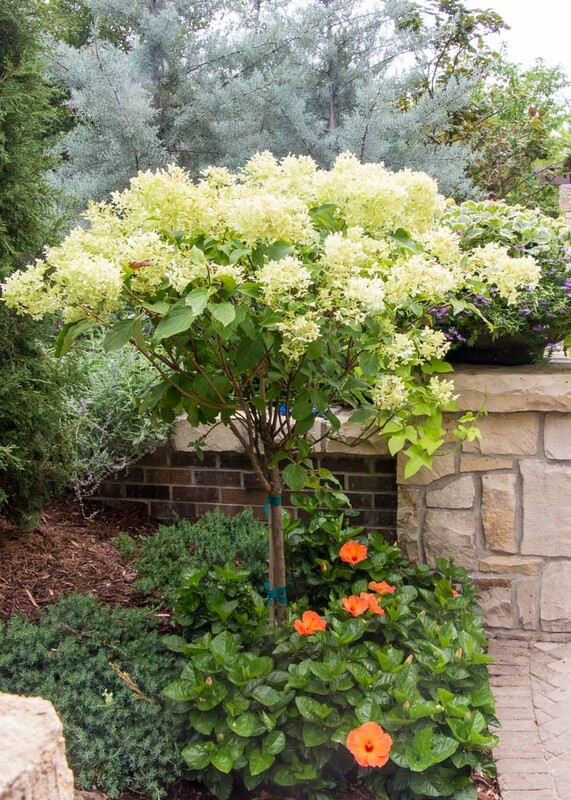 Limelight Hydrangea tree is grafted into a tree form. Its grown for its huge, cone-shaped flower clusters that open white then fade to lime green, sometimes acquiring pink tones. The blooms will dry and add winter interest. It blooms on new wood, starting in summer and blooming until fall. It has dark green leaves and an upright, dense habit. It prefers part sun to full sun but must have evenly moist soil in full sun. This plant does not have any serious pests in our area.